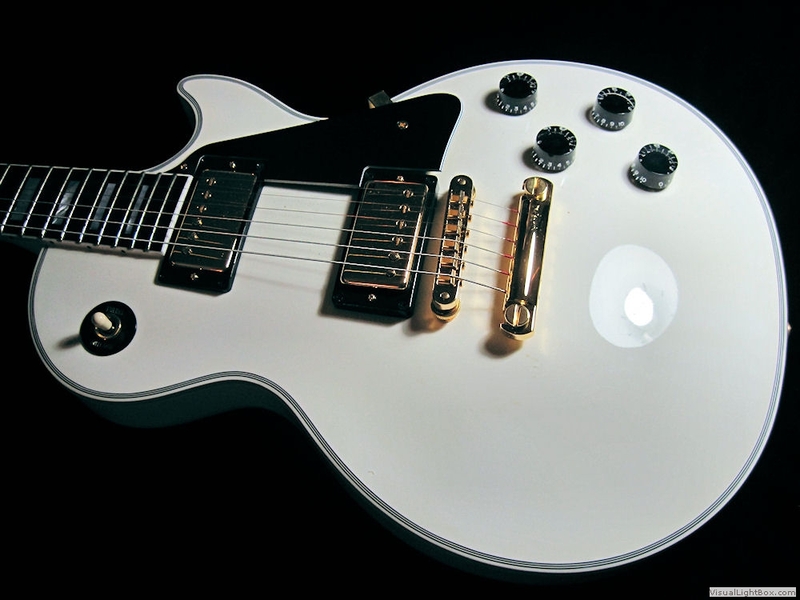 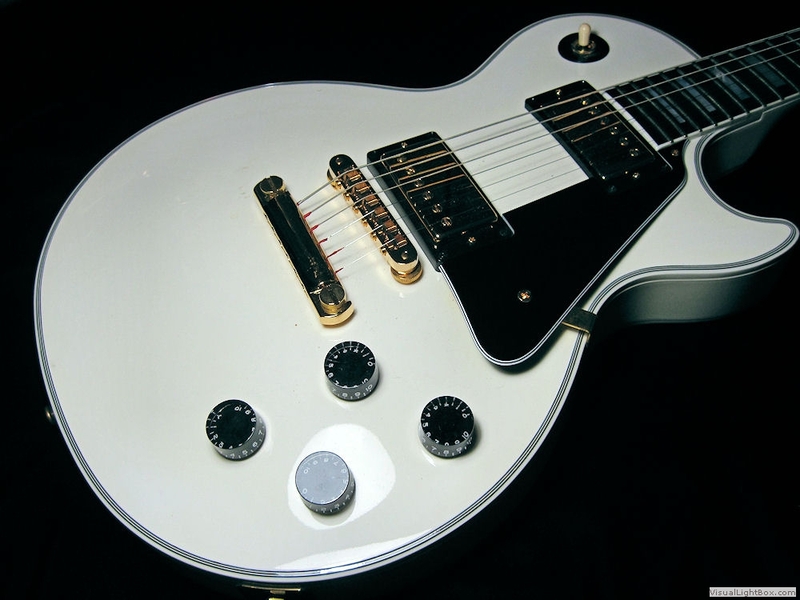 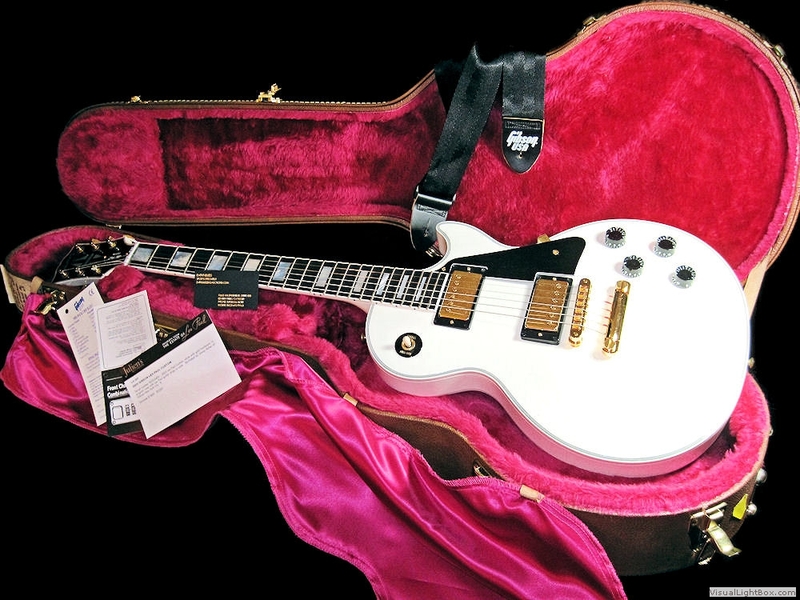 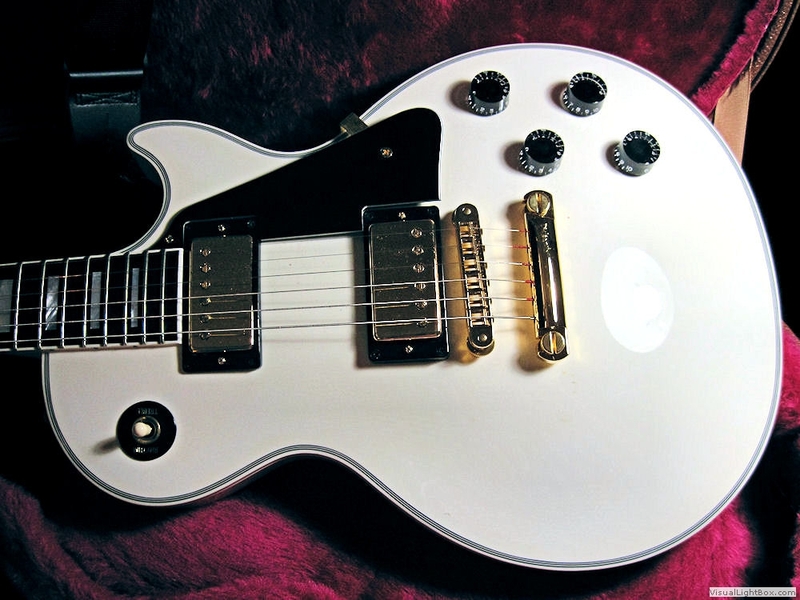 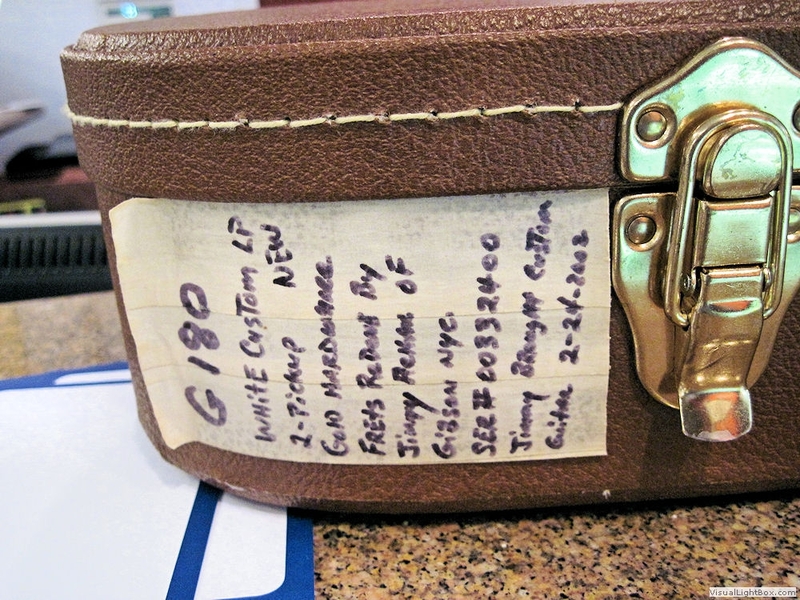 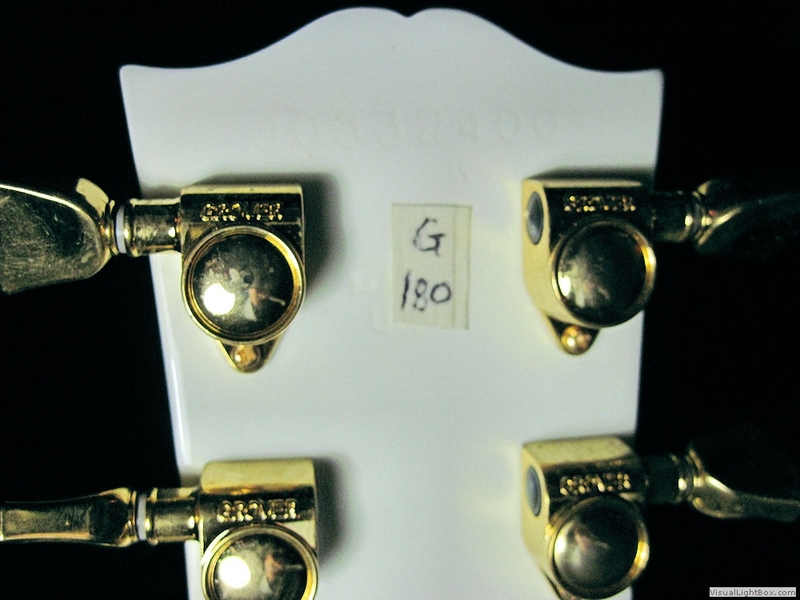 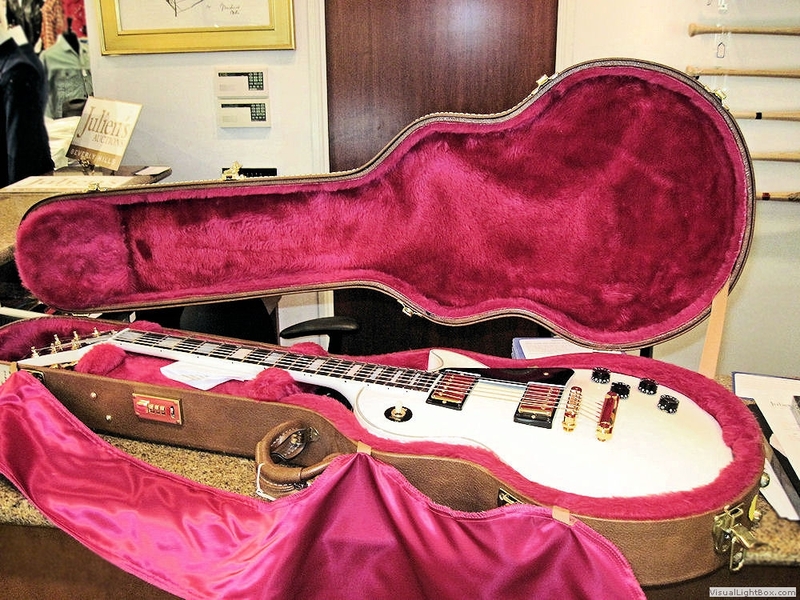 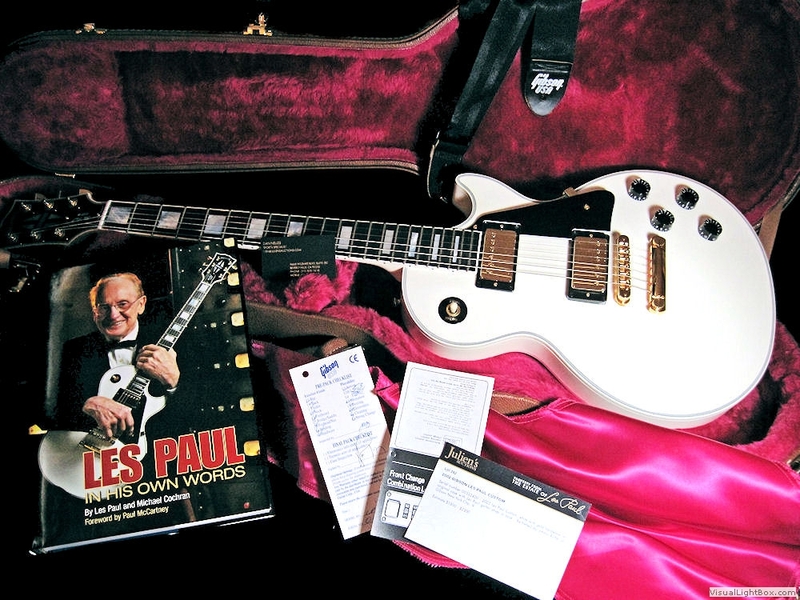 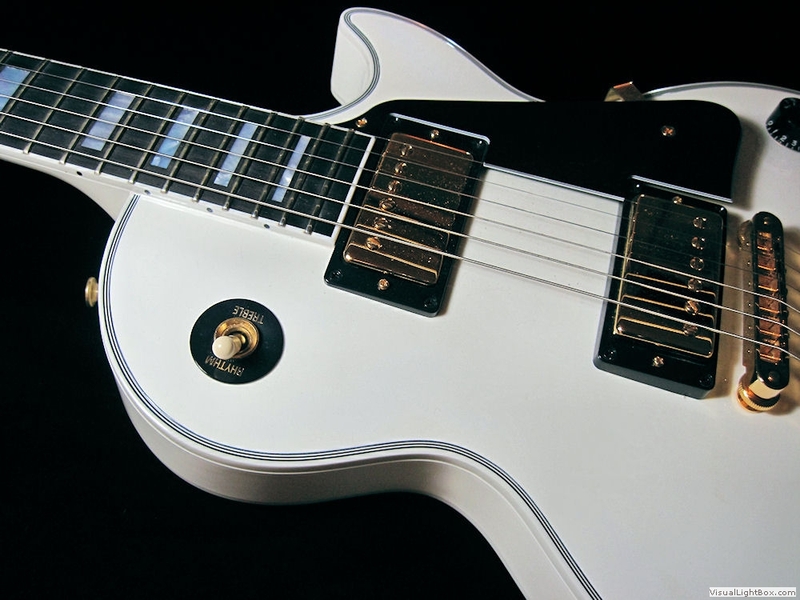 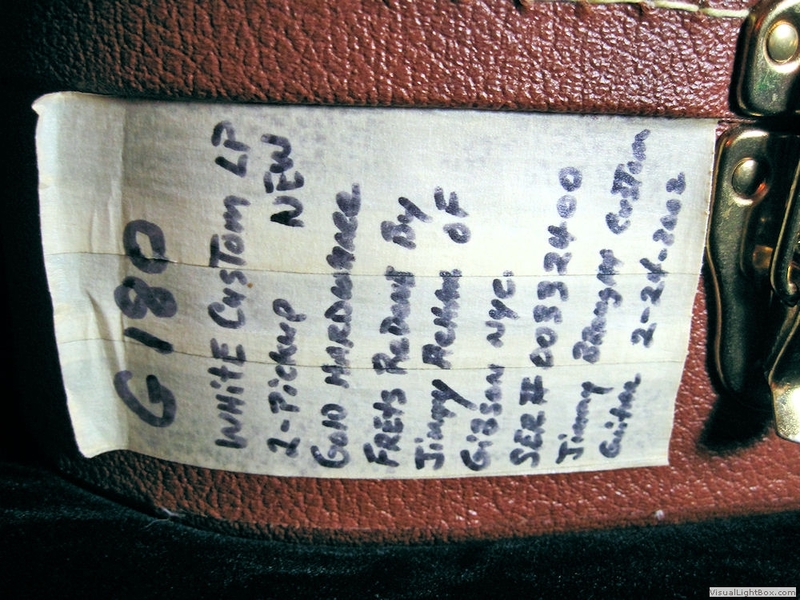 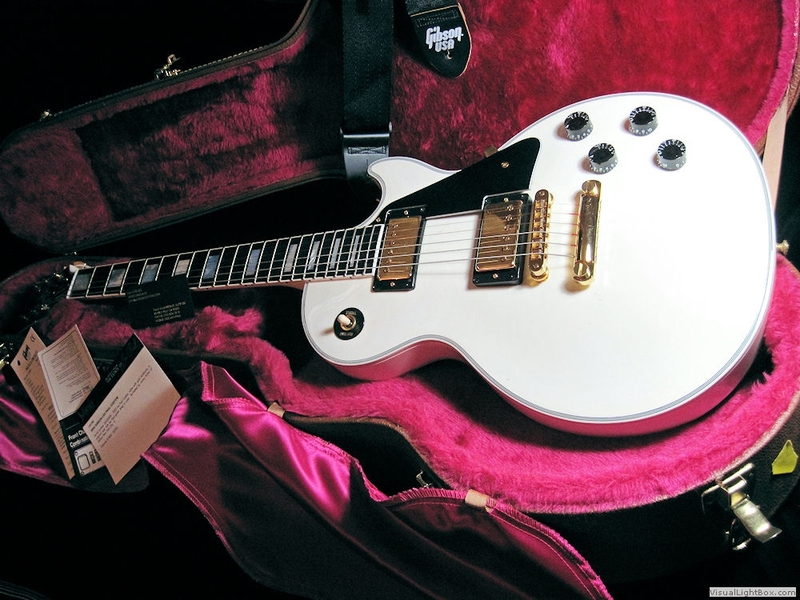 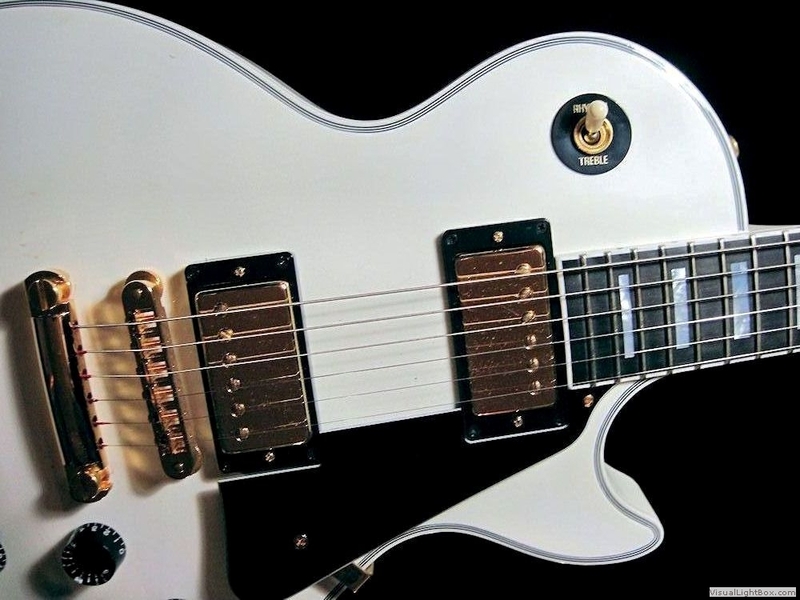 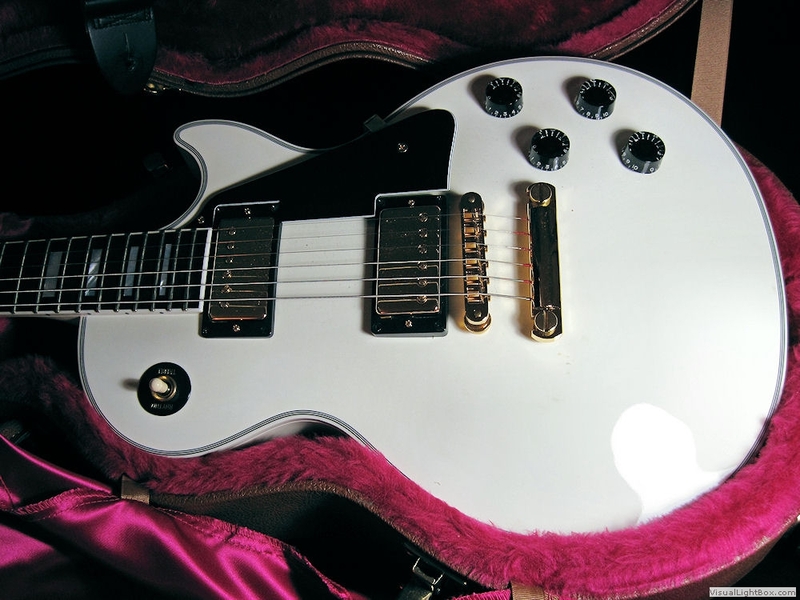 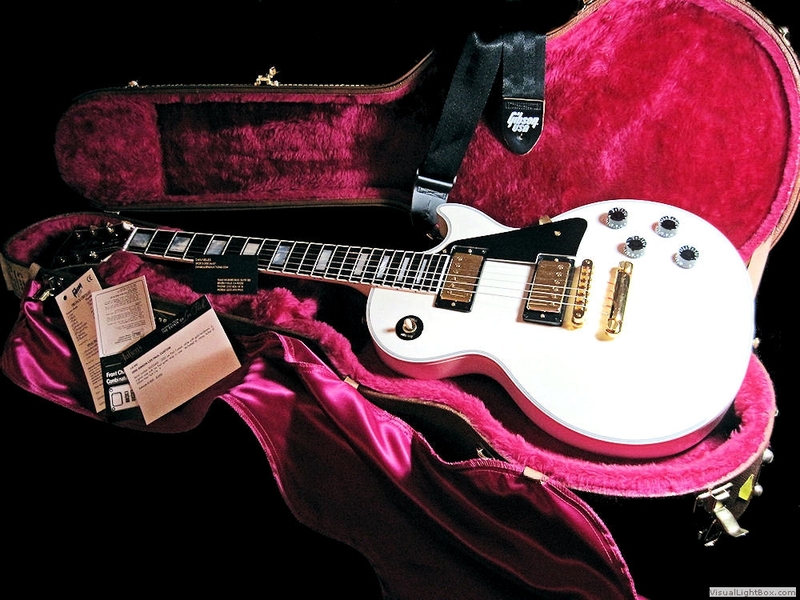 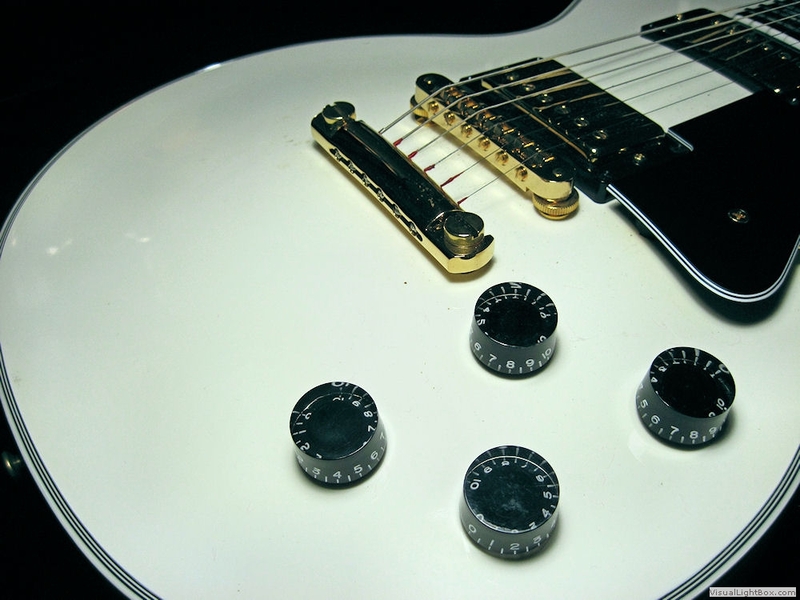 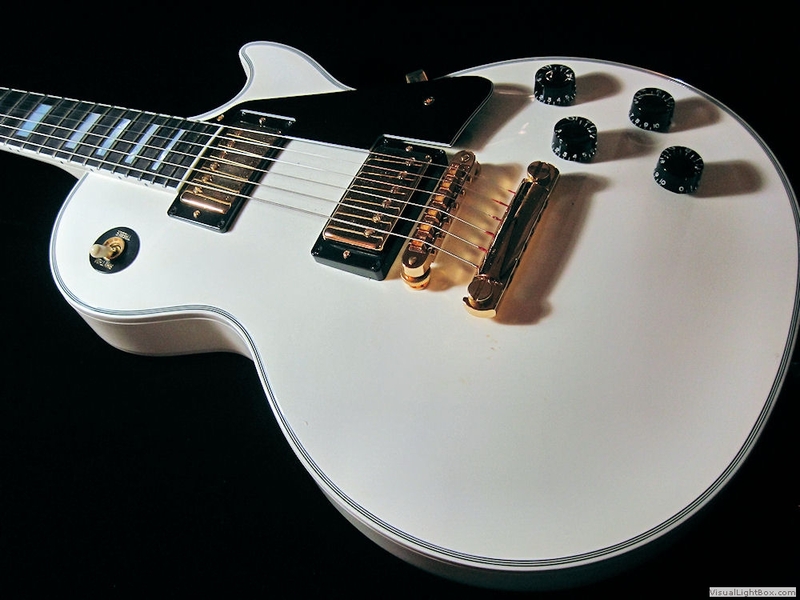 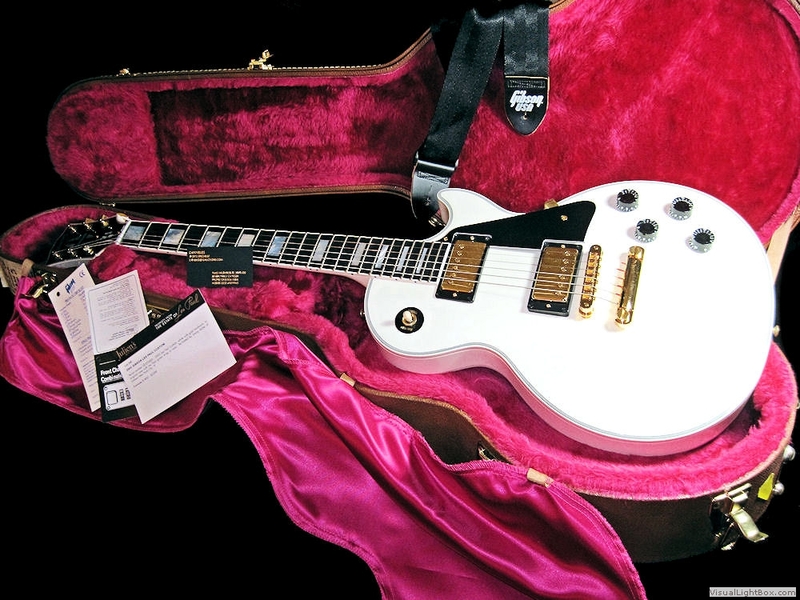 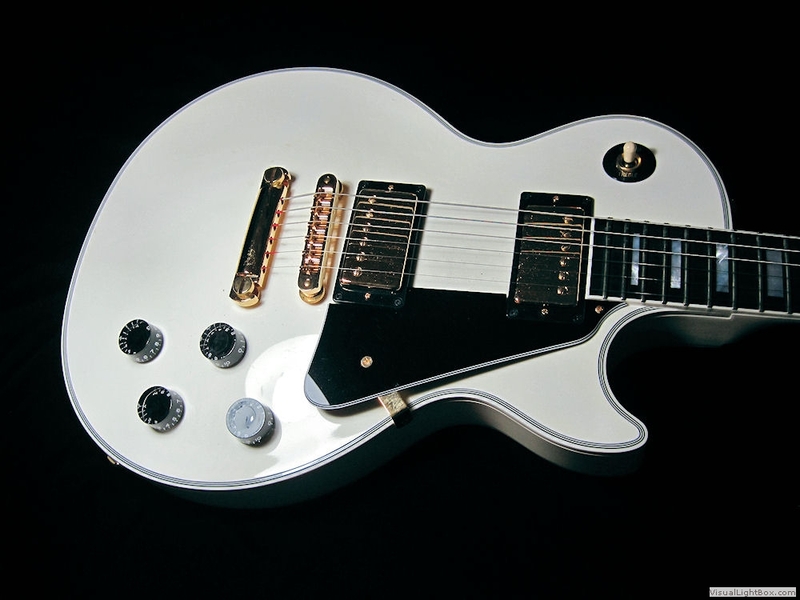 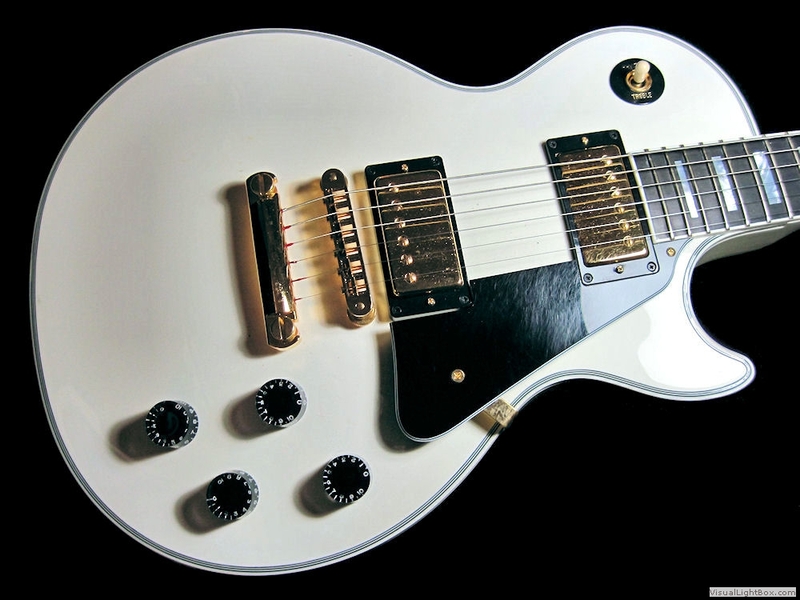 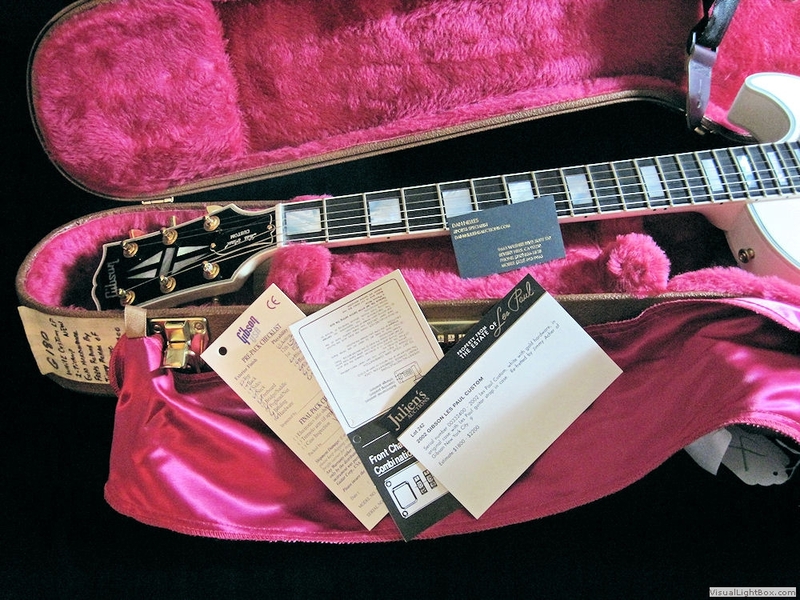 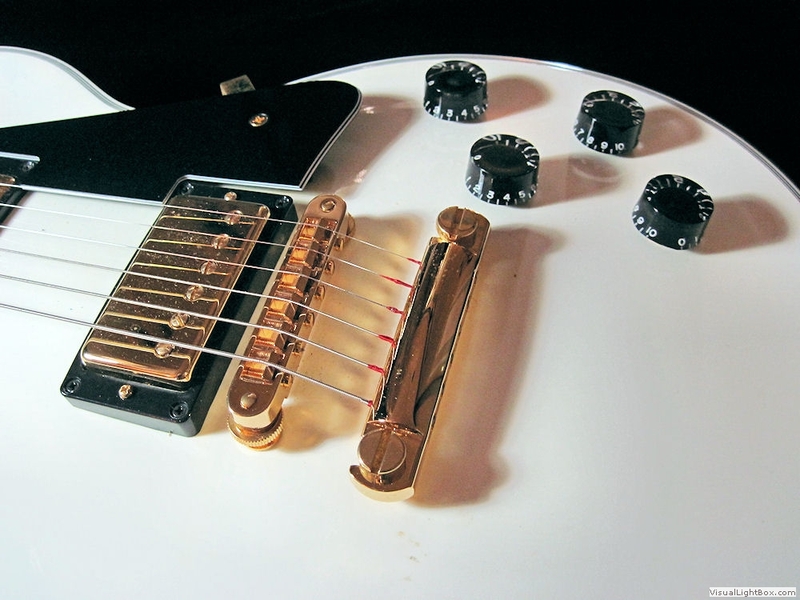 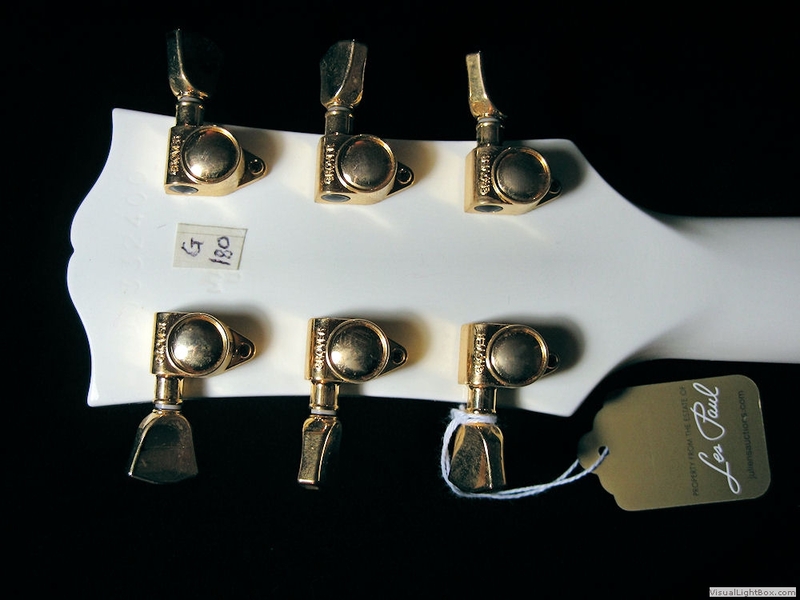 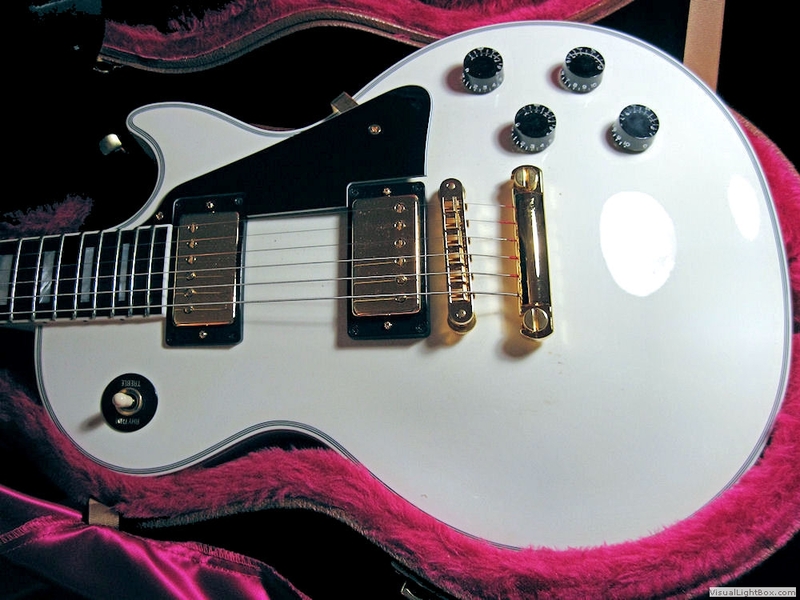 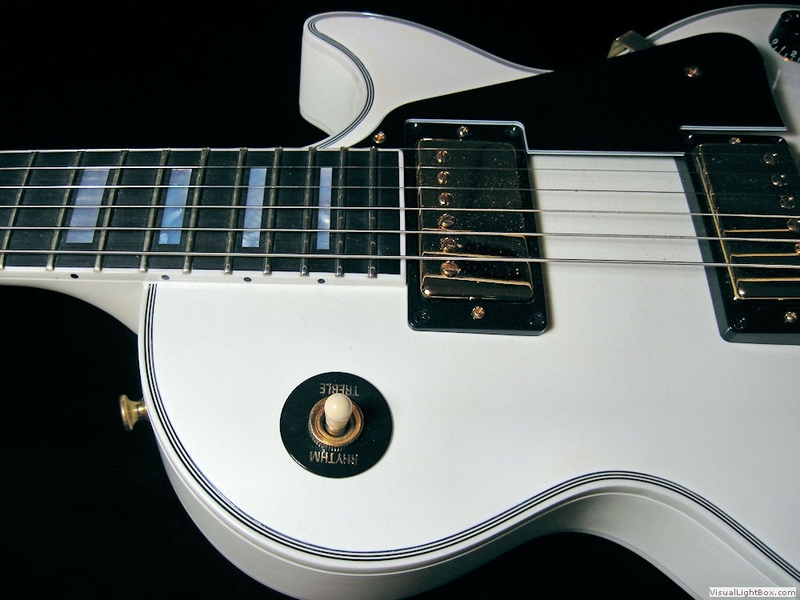 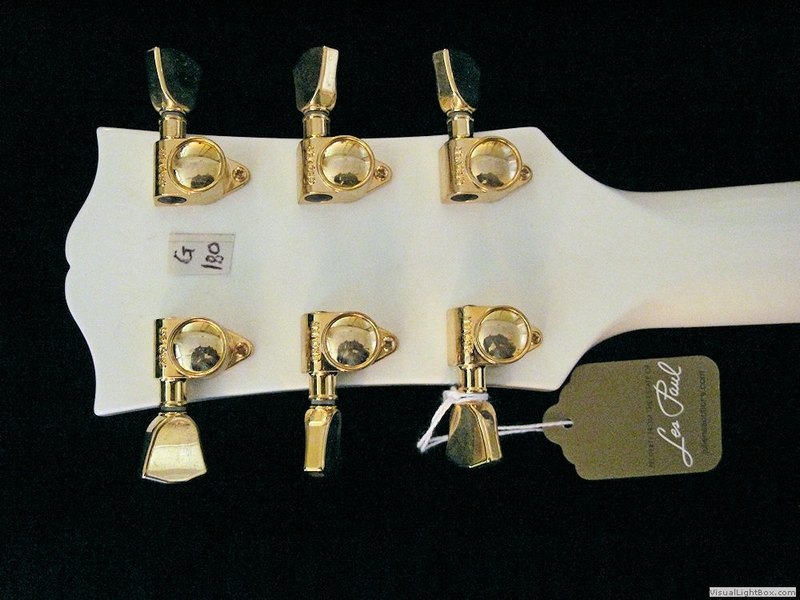 Serial Number 00332400 - White with Gold Hardware, in its original Gibson Hardshell case, with Les Paul's personal guitar strap in the case. 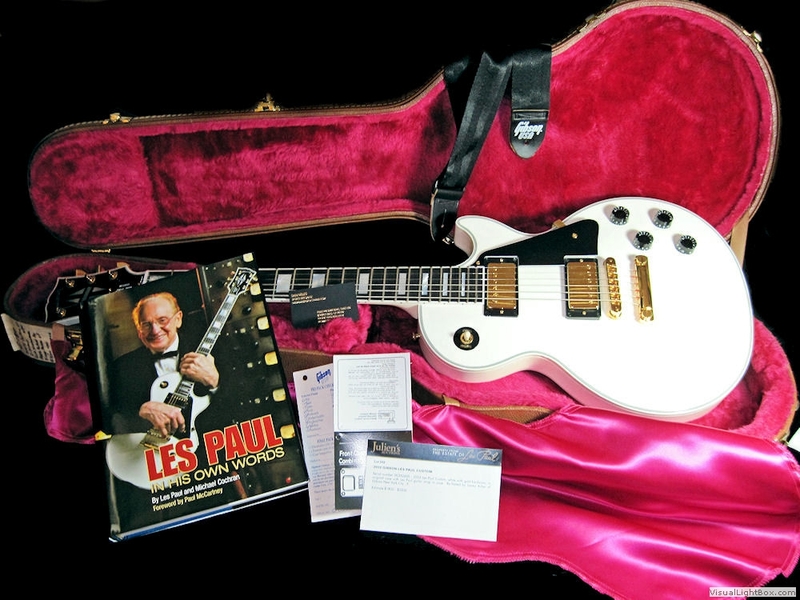 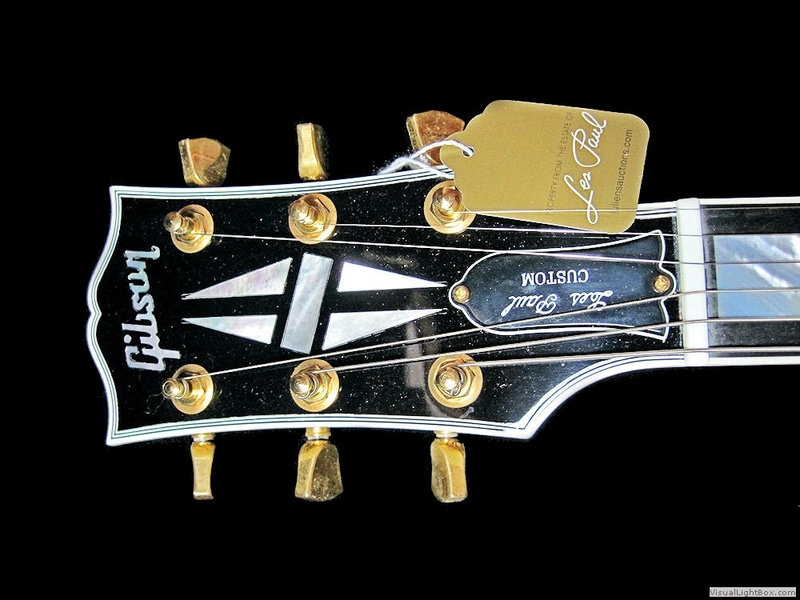 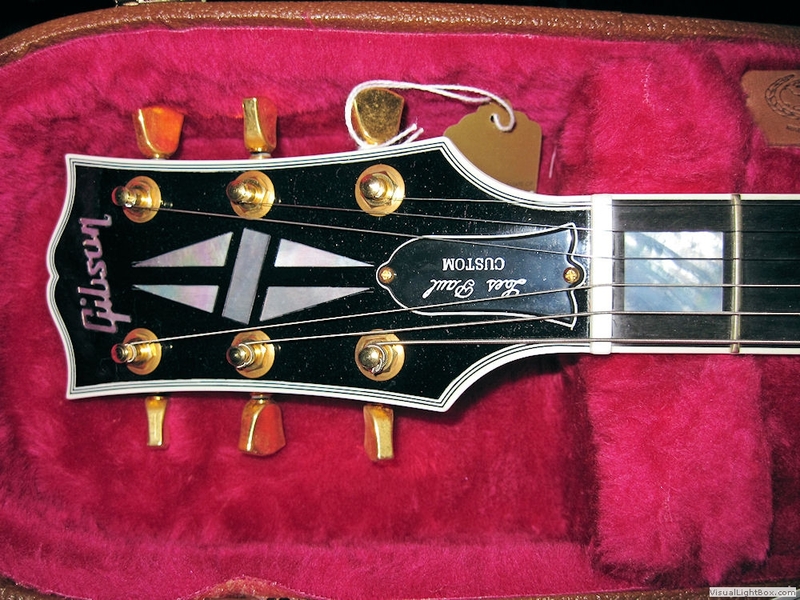 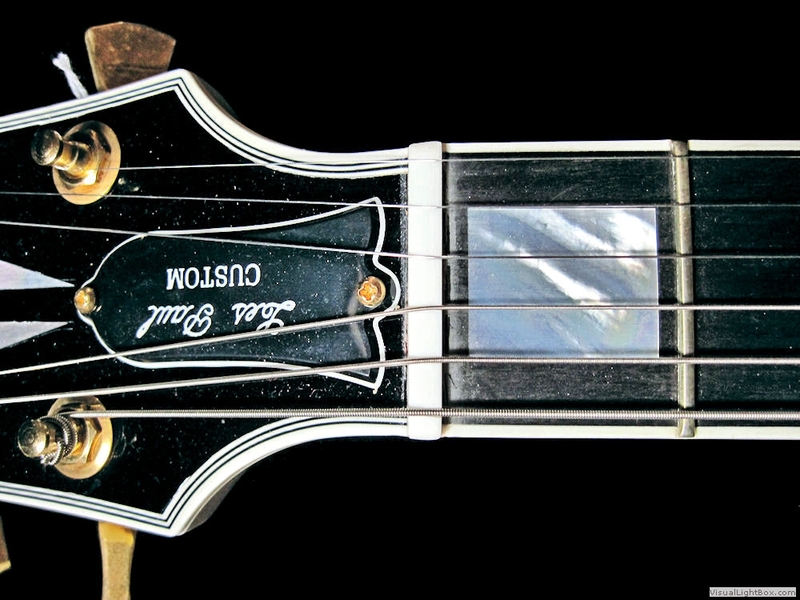 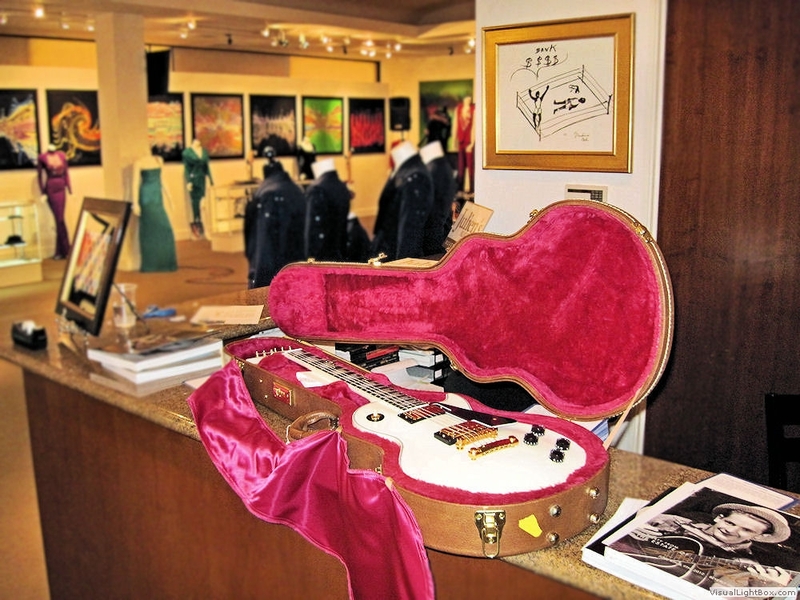 This guitar was played often and much by Les... he liked it so much so that he had it re-fretted to his personal spec by the good people of Gibson's Artist Relations Department in New York City. 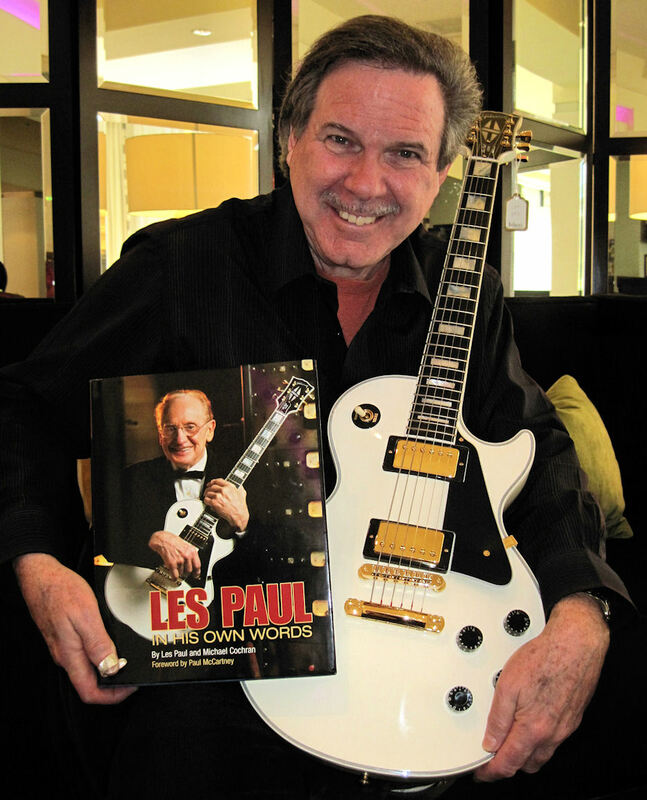 While Les had many guitars in his collection, he actually used and played this one regularly up until the time of his death in 2009. 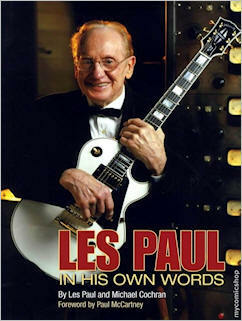 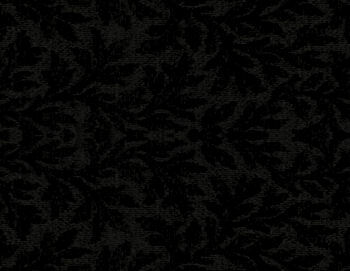 As you can see, it was featured on the cover of his Autobiography, as well as the last page of the book. 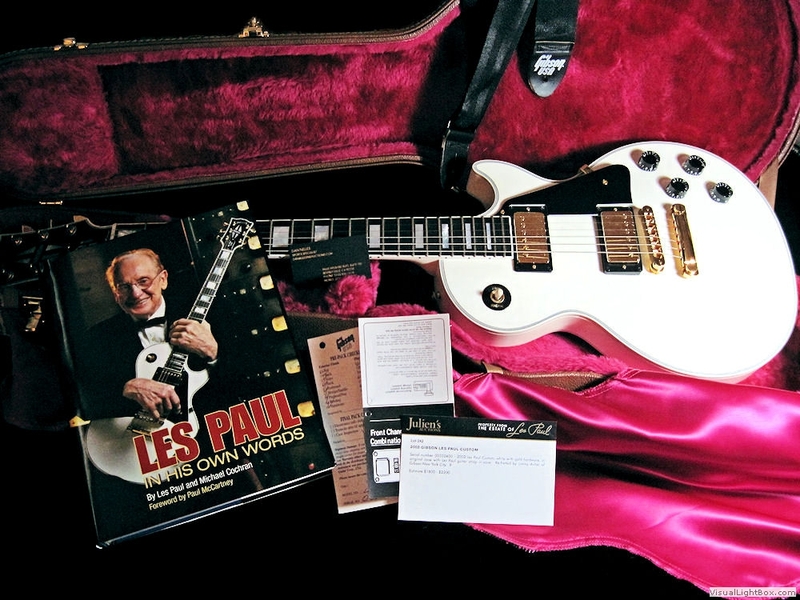 It was kept in his personal bedroom...and played by Les quite often. 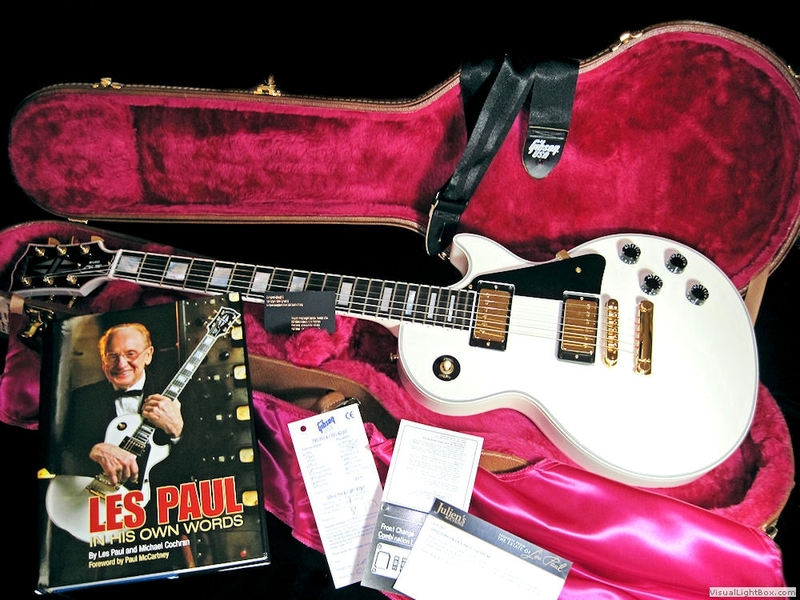 The guitar still has its original strings, pick dust between the pickups, sweat, marks, streaks, a lightly scratched pickguard that shows its been played quite a bit, and a vintage patina from constant use and playing... Les Paul's DNA is all over this instrument and it has not been altered or cleaned in any way since it was taken out of Les's home in Mahwah, New Jersey. 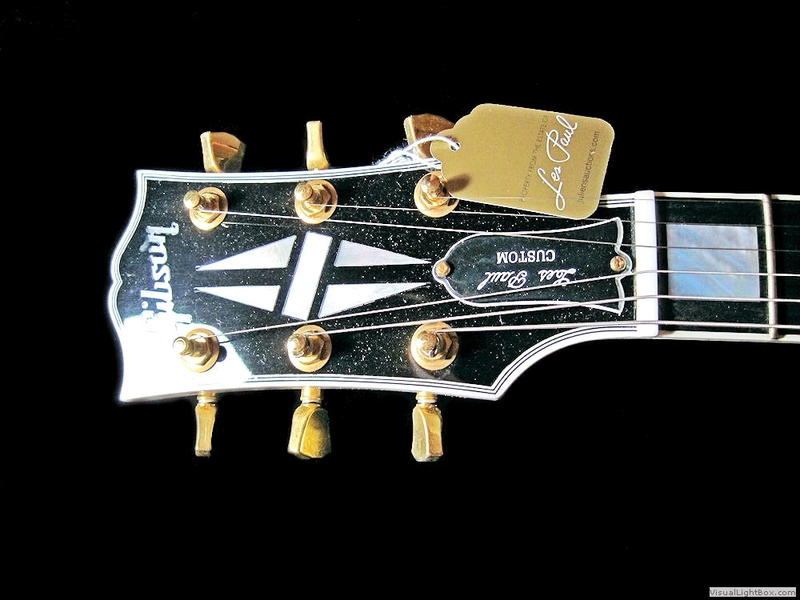 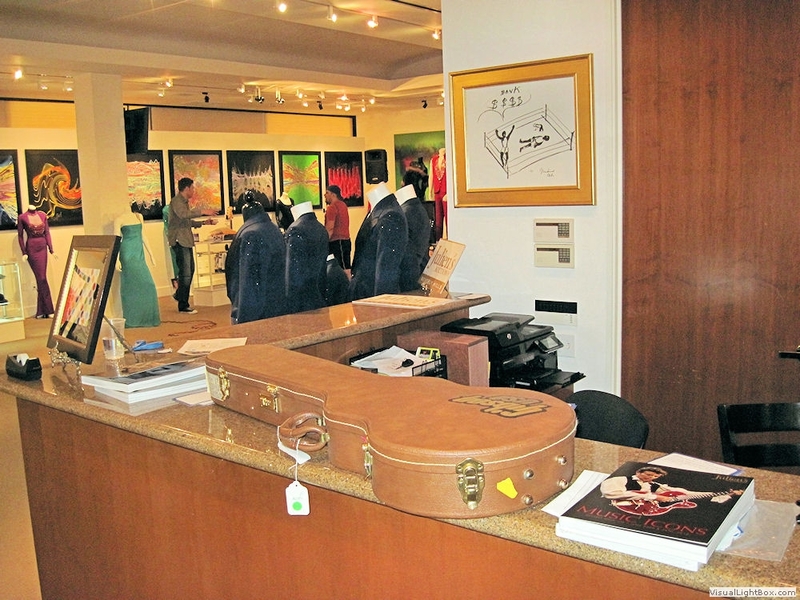 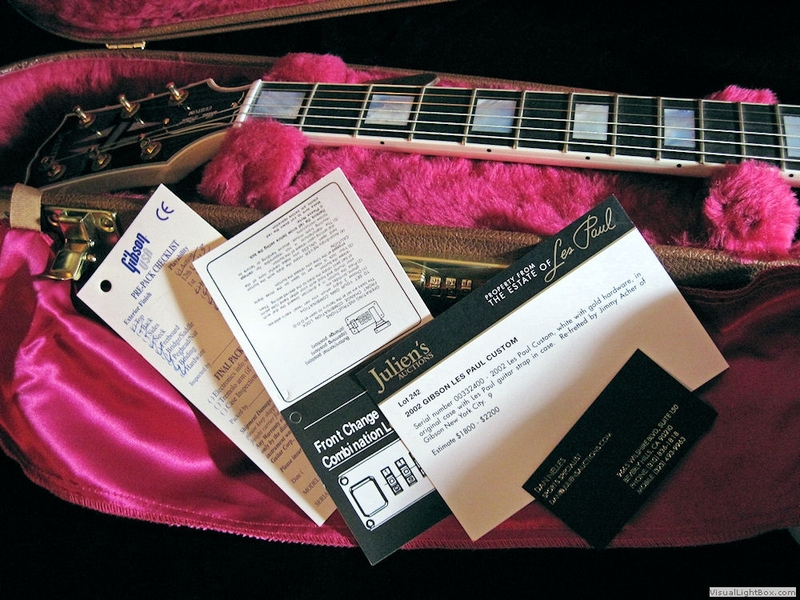 THIS GUITAR IS CERTIFIED A 9 CONDITION BY THE CURATORS OF JULIEN'S AUCTION HOUSE.